Attending the Canadian Indigenous Nurses’ Association Conference and Annual General Meeting in Ottawa was one of the highlights of my undergraduate nursing education. 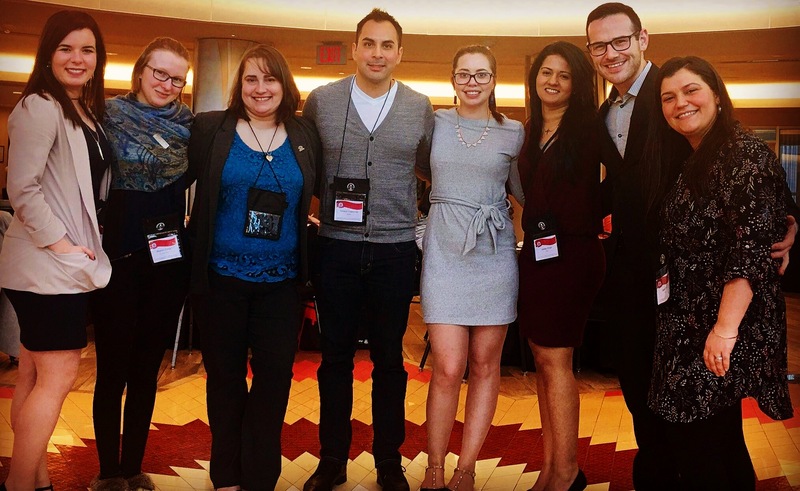 As a member of the Indigenous and queer communities, my passion for nursing and health advocacy is rooted in my background and lived experiences advocating for social justice. I am truly grateful for the Johnson Scholarship Foundation conference award for making it possible to attend this important event so that I could expand my research and clinical interests and network with other Indigenous nurses and nursing students. 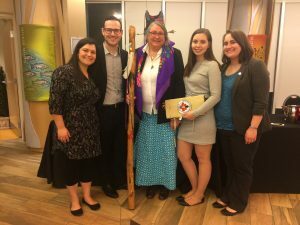 The theme of this year’s conference was “Creating Authentic Indigenous Partnerships” and focused on key issues for indigenous health such as addressing health inequities, self-governance, and enacting the recommendations of the Truth and Reconciliation Commission. As a student, this was a really great opportunity to meet Indigenous nurses that are already practicing in the community and to learn from Elders about the history of Indigenous nurses and their roles as healers in our communities and nations. One of the most powerful sessions was Lisa Perley-Dutcher’s talk, which focused on reclaiming wellness through understanding trauma-informed care for Indigenous peoples. Intergenerational trauma is a contributing factor to so many health conditions that affect Indigenous peoples and communities and it is crucial for healthcare providers to understand this context and practice in a culturally safe manner to best address these issues. This means that our Indigenous patients need to feel in control of their healthcare interactions, be able to make informed decisions about their own health care interventions, and to move forward at a pace that works for them. Healthcare providers can help accomplish this by becoming informed about the history of colonization in Canada and by being mindful about experiences of trauma and helplessness when interacting with Indigenous patients and families. To find out more about our Indigenous Health Programs please visit our Diversity and Indigenous Health webpages.